We stock various sizes of reciprocating saw blades all with different applications such as metal or wood cutting. 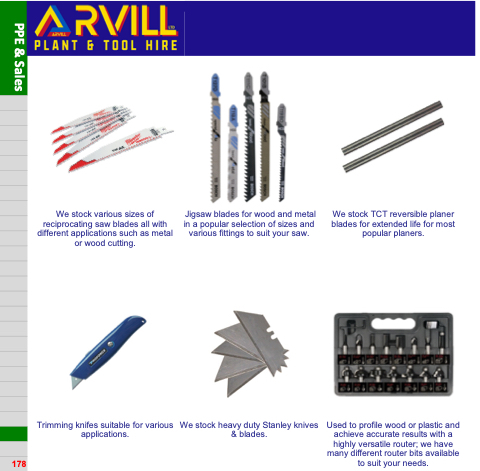 Trimming knifes suitable for various applications. Jigsaw blades for wood and metal in a popular selection of sizes and various fittings to suit your saw. We stock TCT reversible planer blades for extended life for most popular planers. Used to profile wood or plastic and achieve accurate results with a highly versatile router; we have many different router bits available to suit your needs. We stock heavy duty Stanley knives & blades.